Can Lay Witnesses Testify at Your SSI Hearing? An experienced Maryland attorney can put together lay witnesses to testify on your behalf should you be required to appear at an SSI hearing. Lay witnesses can help your case by testifying as to real and significant limitations you experienced at work. However, it is important to note that their testimony also has the potential to hurt your case. A knowledgeable attorney will be able to evaluate how an administrative law judge may respond to your lay witness’s testimony and build a stronger case on your behalf. In a recent case, the district court considered the case of a woman who claimed disability starting in 2009, several years after she was diagnosed with fibromyalgia, She had complained of fatigue and severe pain for about a year, and x-rays showed she was experiencing degenerative changes in her hip and lower back. In 2010, she was diagnosed with leukocytoclastic vasculitis, which improved with medication treatment. The Social Security Administration initially denied the woman’s claim and denied it again after reconsideration. She asked for a hearing. At the hearing the woman had testified she experienced severe pain the majority of the time and that it was hard for her to sit for a long period. The administrative law judge found that she was not disabled. He considered a lay witness statement from the woman’s work supervisor. The supervisor said that the woman needed help moving around the building and couldn’t function like her peers with respect to walking around the building. She sometimes needed a wheelchair or the assistance of her supervisor’s husband. In evaluating the claim, the administrative law judge reasoned that though she didn’t engage in gainful work during the period in question and suffered from severe impairments, she also was not impaired in a way recognized or equal to the Agency’s list of impairments. He found she had the ability to do light work with limitations, including her past work as a data entry clerk. As such, he found no disability. The woman tried to appeal, but the Appeals Council decided not to review her case. She filed an action in district court, asking the court to review the judge’s decision. The magistrate judge recommended an affirmation of the judge’s decision. She objected on the grounds that the judge had improperly found the lay witness testimony duplicative of her testimony and that the magistrate had improperly found the judge didn’t need to consider lay witness statements. The district court commented that the issue was the woman’s credibility. It explained that a two-step process applied. 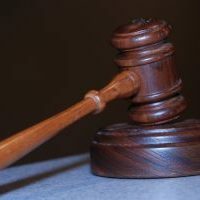 The judge had to determine whether there was an underlying impairment established by objective evidence that reasonably be expected trigger the claimant’s subjective complaints. Only if this first step was satisfied would the judge would look at the intensity and persistence of the woman’s pain and its effect on her capacity for work. The judge is not allowed to disregard the claimant’s testimony about the effect on her work solely because objective evidence does not support that testimony. However, a judge can look at credibility so long as he articulates specific reasons for a credibility finding that make clear why he made that determination. In this case, the judge found that the woman’s impairments were expected to cause the symptoms of which she complained. However, it didn’t find credible the woman’s testimony about the intensity, persistence and limiting effects of her symptoms. Specifically, the judge didn’t believe the objective evidence substantiated the intensity claimed by the woman. The woman was taking care of her father who needed help moving and taking baths and going to the bathroom. The woman went for periods without treatment. The woman argued that the lay witness’s testimony supported her own. The district court explained that lay witnesses can give statements about the impact of the claimant’s symptoms and ability to work. In this case, the district court noted that the judge did not discuss the lay witness’s testimony. However, the district court found this to be a harmless error — it didn’t completely meet procedural requirements, but would be a waste of resources to send back to the judge. It found that the judge’s decision on credibility was both supported by substantial evidence and asking the judge to articulate its findings with respect to the lay witness would not lead to a different result. The lay witness had testified there were mobility issues in certain situations, but not that the woman had difficulty performing her sedentary job. The administrative law judge’s decision was affirmed.